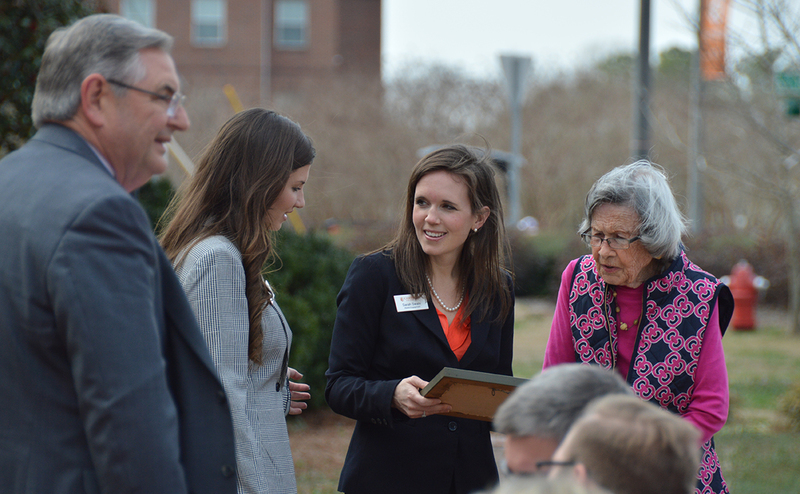 On a week honoring the women who played major roles in the growth and success of Campbell over the past 132 years, the Office of Alumni Engagement officially dedicated its new home on Friday by honoring the University’s first First Lady. Cornelia Campbell was one of 16 students to attend the first class of Buies Creek Academy in January of 1887, anxious to continue her studies in Latin at the time. But by the time the day was over, the 18-year-old student had become a teacher. The young preacher in charge of the school, J.A. Campbell, found himself overwhelmed by the task and asked young Cornelia to help assist him. By 1890, she was listed as a full-time teacher. She and J.A. were married in November of that year. She soon became assistant principal and business manager for the academy. “Miss Neelie,” as she was affectionately known throughout her life, helped lead Campbell through wartime hardships, the Great Depression and challenges that came with being located in a rural area. When money was tight, she worked to provide fruit and vegetables from the family’s farm for meals in the school dining room. In addition to raising her three children, she opened her home to numerous students who needed a place to stay. When J.A. died in 1934, she continued to be active as her son, Leslie Campbell, took over as president. Cornelia Campbell died in 1963 at the age of 97. The Cornelia Campbell House was built following the death of J.A. Campbell for served as Cornelia’s home for years before the University used it for various programs. Most notably, it housed home economics for several years. Allison Sikes (’87), president and CEO of Rocky Mount-based Strategy Performance Business Solutions, recalled her time as a student and the many hours spent in the house both for classes and as her home. 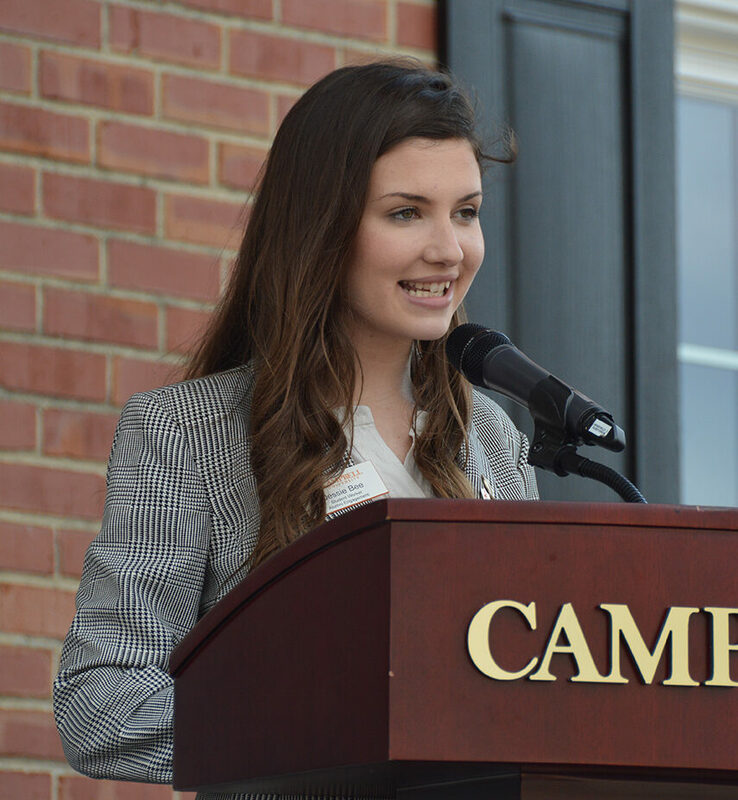 Jessie Bee, whose mother earned her degree from Campbell in 1990 and who currently works as a student worker for the Office of Alumni Engagement, said she was thankful for the legacies of women like Cornelia Campbell and Kathy Creed and all women who came before her. She also said she liked the idea of having a home to return to her after her own graduation. 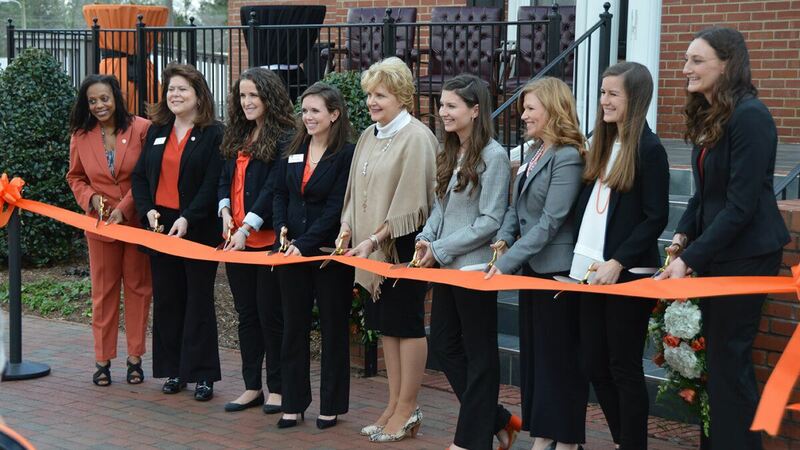 “As an almost-alumna, knowing that I have a place to come home to is so comforting,” she said.